Convenient Parking lot also located behind Sfixio, the entrance is on Roxbury Dr. Street Parking is available in front on S. Santa Monica Blvd daily after 7pm and all day Saturday. Available for Private Events. Call for details and to book your next event. In 2014 we will be having Lounge nights here at SFIXIO! Stay tuned and follow us on facebook at facebook.com/sfixioitaliano and on instagram @sfixio. Cheers! Great menu available for all your parties. Sfixio focuses on the most authentic Tuscan and Mediterranean cuisine, using only Italian ingredients imported from select Italian areas, to assure the best of Quality including as well an impressive selection of wines. 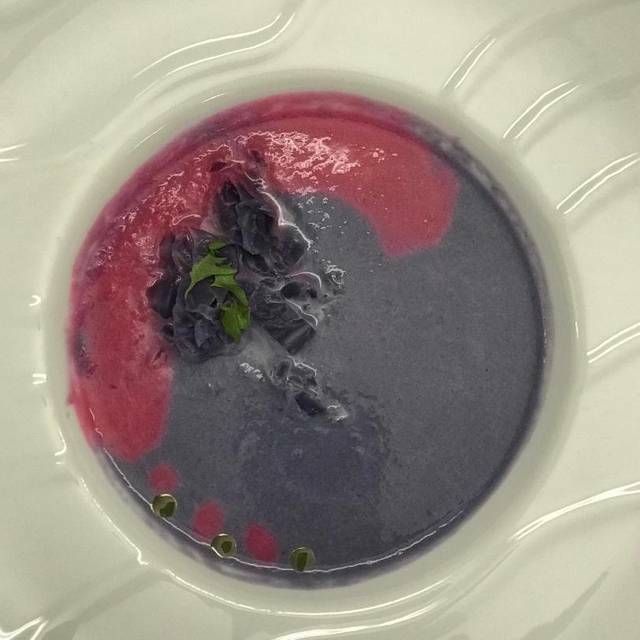 The Menu is created by Chef/Owner Massimo Denaro from Florence. 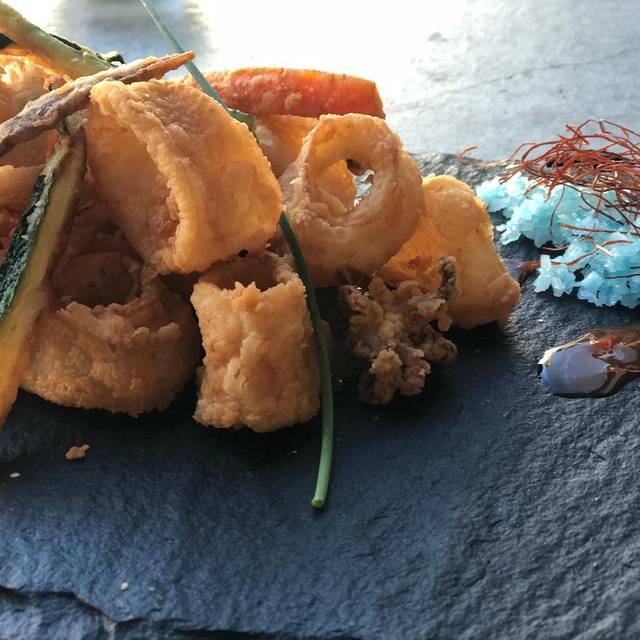 The Menu offers a perfect balance between the authentic Tuscan cuisine and a " Crudo" menu, the Italian style "sashimi" with fresh fish tartars and fish carpaccio creating a refined feel. There is NO FREEZER in this restaurant so everything is extremely fresh. The pasta is homemade and prepared at the moment, the fresh products are seasonal and organic focusing always on the the best quality for all the dishes. 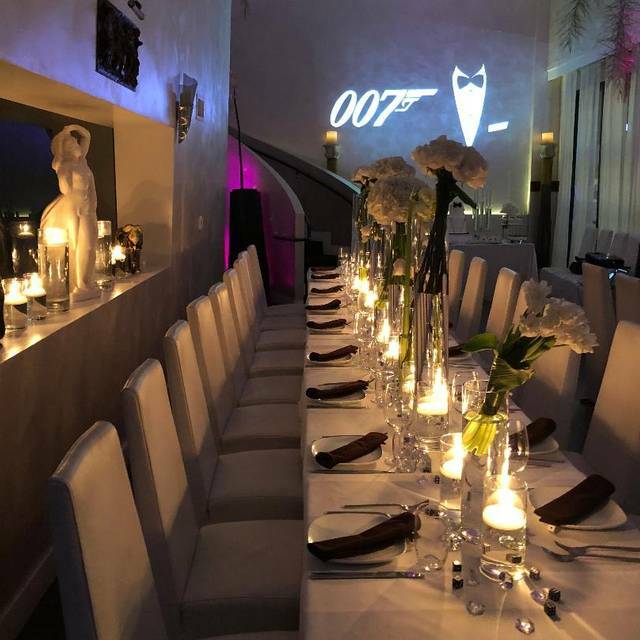 The decor is contemporary and romantic at the same time creating a sophisticated ambiance for a unique experience. 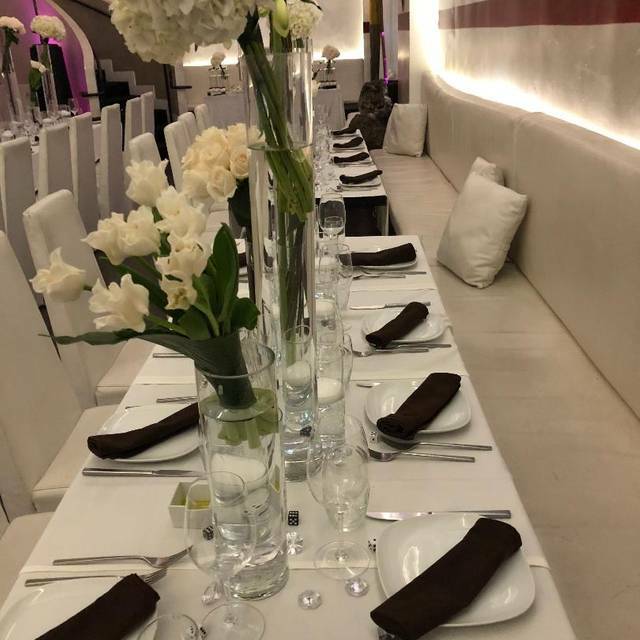 A very private mezzanine is available for parties and banquets.Lunch Menu includes also an Italian Healthy Options Menu Low Calories Personalized Menu for catering and Parties. The chef came out to speak with us and it felt as though he cooked just for us! His pasta with caviar was so delicate and delicious. He goes to the fish market daily and gets the freshest fish. The branzino was outstanding! This place was as good as I had hoped they’d be. I read the reviews that it was authentic Italian and I had high hopes. We both got the fettuccine bolognese and it was the freshest pasta I’ve ever had! We also had the cream puffs and they tasted like they had just been made-to-order! The price is good and the service was good too! The owner came over and chatted with us a few times. Definitely recommend!! 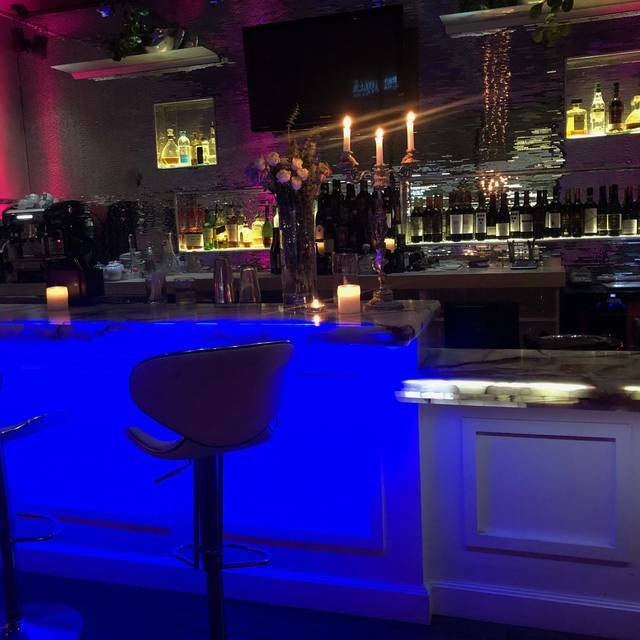 Sfixio is an incredible Italian restaurant located in Beverly Hills on the Little Santa Monica Boulevard right across from Beverly hills Rental Car, It is beautiful, elegant, and the BEST Italian restaurant that I have ever eaten at including the ones in Italy! The salad, the pasta, the fish, the beef, everything is fresh and top-quality. The service is exceptional as well. I feel when I go to Sfixio that I am in a private estate. Love to Mara and her wonderful husband for their incredible hospitality and fabulous food. This is not to be missed. Great for private parties, dates, anniversaries, birthdays-everyone. We have now dined at Sfixio several dozen times and have found the food to be excellent and consistent. 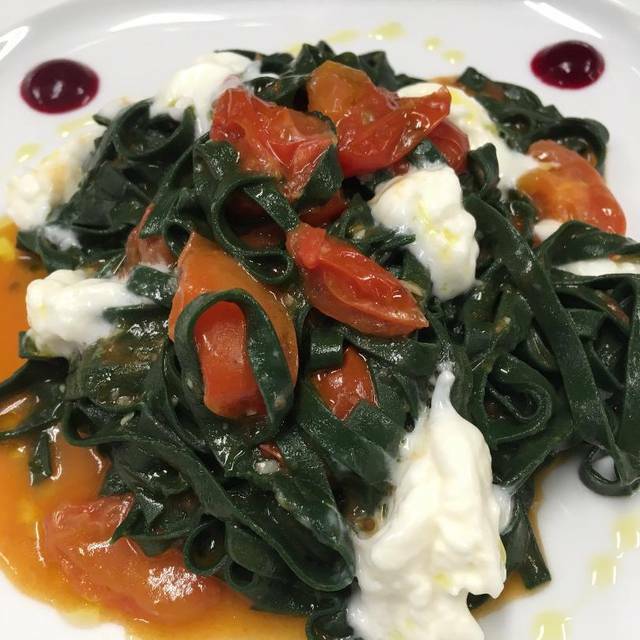 Chef Massimo is passionate about serving fresh food , mostly imported from Italy. We especially like the tomato soup, the eggplant parmesan, the lasagna, the branzino, and the veal chop. The service is attentive and the room is nicely decorated. Don’t believe the reviews. The food was bland. The owner was very rude. The couple at the table next to us actually left and went to the restaurant next door. After arriving early, giving our names for our reservation, and paying for our meals, we get an email saying that the restaurant canceled us for not showing up. Wonderful service, delicious food. Small portions, but if you order appropriately, it is a great meal. Good food. Very nice, kind, and polite waitress ... patiently went through the menu and explained what is what. Absolutely recommend Sfixio to everyone that is in the area! Thank you to Mara the owner and her husband for an amazing dining experience. Definitely different from other local restaurants. The food was exquisite and like no other! A very busy night at Sfixio. Valentine's Day Eve and the place was bustling. Mara was super busy yet still made time to regularly check up on every table. And the truffle pasta was amazing! Highly recommend. My friends and I had a girls night out at Sfixio to celebrate the birthdays of two of us. Three of us met in the bar and enjoyed cocktails while we waited for our fourth who was running late. Mara became our immediate friend and made sure we were comfortable and un-rushed. She was also our server when we sat down for an absolutely delicious meal. The food is fresh and authentically Italian, prepared by Chef Massimo, the other half of the husband/wife team. When I got home and told my husband all about it, he became excited and promised we could go there together. It is exactly the type of restaurant experience we enjoy most - small and intimate, friendly and personalized...with amazing food. Grazie mille a Mara e Massimo! The pasta was delicious, it was obvious that it was fresh and made to order! Will definitely be coming back . Thanks Mara! I come to Beverly Hills annually for a conference and each year I come back to Sfixio for dinner. I’ve not found a better dining experience in that area. The environment is peaceful and welcoming. The service is very personal, rapid, but non intrusive. You are cared for as if you were a family member. The food is innovative Italian food of extremely high quality. The truffle pasta is not to be missed, at a minimum as an appetizer course. The salads, the meats, the fish, and pastas are all fresh with subtle and wonderful flavors. I can’t wait for my next trip to return to this gem of a restaurant. We were a group of 8 and the service could not have been better. The food was fabulous , the service engaging and friendly. All fresh ingredients . Best veal chop I have had ever! Pasta was fresh and delicious and AUTHENTIC! Incredible desserts Great recommendation for wine . Will definitely be at the top of my list to return . Another wonderful meal, thank you Mara and Chef Massimo! Mara and Massimo always are the best. 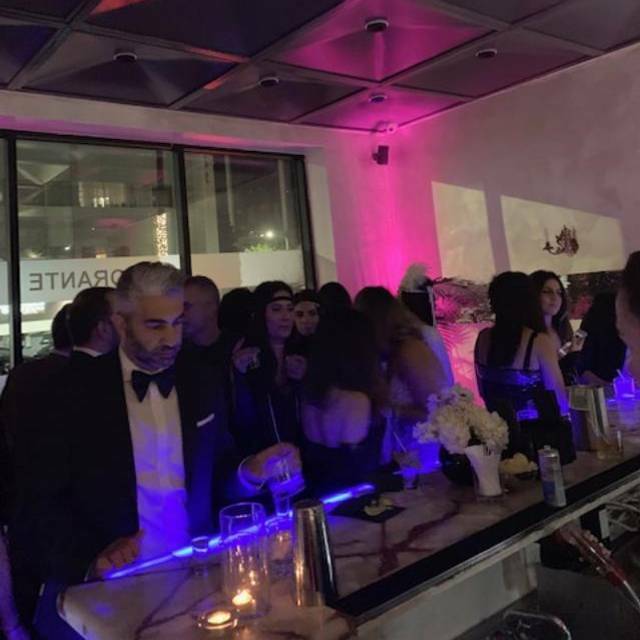 Mara's attention to every detail and always-friendly personality makes dining at Sfixio a wonderful event. Add to that Chef's fantastic dishes and you have the makings of a perfect meal. I always highly recommend Sfixio and have honestly never had a bad meal or bad experience here. The restaurant had the worst ambiance and decor of almost anyplace I’ve been. It was like a cave, poorly lit, cold and the plants were all dead. Totally surprising for such a high end location. It was a 50th bday and I was so disappointed and slightly embarrassed. Everything was delicious. Pastas were outstanding, especially the linguine with lemon reduction. This was an excellent Xmas dinner--great food, great service, beautiful surroundings. My husband, Will, and I, plan to make this our Xmas regular; as well as a frequent place of regular dining. Thanks for bringing us to this experience! Massimo is an incredible chef and he and his wife Mara have made Sfixio a great restaurant. Authentic Florentine cooking at its best. What an amazing meal! Sublime pasta and salads, fresh ingredients and beautiful presentation. What a find! I see why it has such great reviews. Add mine to the list. This family owned Italian restaurant is our favorite in Beverly Hills. Real Italian food (we used to live in Italy) and a relaxed and sophisticated setting make this our favorite dining spot whenever we come to LA. We highly recommend Sfixio. A most gracious host with very good service and tasty food, always very fresh. come out. The people that work there are nice, but service is average. Ambiance is strange. The lady who sat next to us was on her phone FaceTiming and the people working there didn’t do anything. Instead a guy at a table across the room yelled at her. There were only four/five tables seated at the time and it was 7-8pm on a Saturday night. I wouldn’t recommend this place. Go try one of the other Italian places in BH and you’ll get better overall everything for a similar price. Charming atmosphere and delicious food. Mara and Massimo are the best! Truffle pasta unbelievable, what a difference home made pasta makes. Great place. Love this restaurant! Great food. Everything is fresh and delicious. Owner is very warm and friendly and makes everyone feel so welcome. Also nice modern decor, but cozy atmosphere. Consistently superb food, excellent service, & quiet surroundings, so you & your companions can enjoy a conversation. A lovely spot that offers a charming and quiet setting for fabulous and fresh pastas and other Italian dishes. After dining in the week before, I loved Sfixio so much that I had to come back! Once again, I had the delectable Truffle Pasta that I cannot get enough of! For desert, I had the Panna Cotta that is fit for foodies for sure. You will not find another desert like it! As always, the staff and ambiance were absolutely delightful. What a marvelous evening! 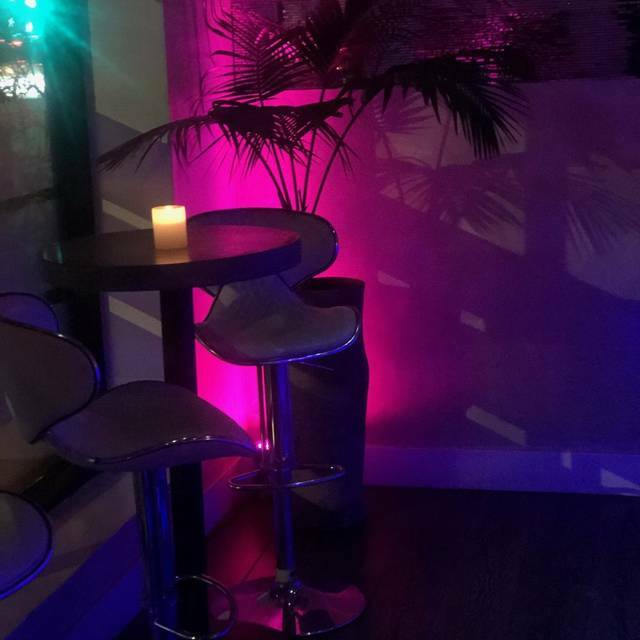 I also decided that Sfixio would be the perfect place for my business Holiday Party and booked it right away! 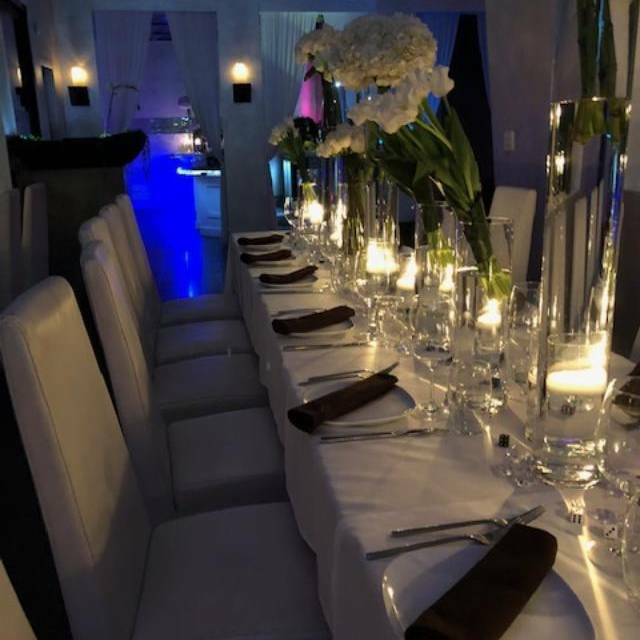 Mara, the owner, is so accommodating in making sure that everything is planned how you would like for your special event! I would highly recommend Sfixio for both dinner and events! I was in town for only a few days, was looking for a special dinner on a Monday night, and found Sfixio had tables available so I reserved one for that evening. Turns out the owner was serving dinner for a group for a special event, so she opened her restaurant for business, not normally open on Mondays. What luck! She suggested the special that the chef/her husband had created and it sounded fantastic - truffle caviar pasta. And indeed it was. If I could have gotten away with licking the cleared plate without anyone seeing me, I would have. I savored the pasta dish as long as possible. I had a beautiful house salad as well. The staff was so friendly, engaging, and attentive. I look forward to going back next time I'm in town! Grazie mille! Dining at Sfixio on Tuesday evening was absolutely DIVINE! When I walked in, I was immediately struck by the innate detail of the decor. From the one of a kind statues to the running waterfall and fish tanks, I was beyond impressed. When it came to the food, the dishes exceeded all my expectations. The calamari is absolutely to DIE for and the truffle pasta's presentation (served on Versace plates and everything) was beautiful and one of a kind. It had the perfect amount of truffle and was one of the best meals I've ever eaten! The owners, Mara and Massimo, are so lovely as they ensure that they greet each table and make you feel as though they are having you for dinner in their own home. They are from Florence and explained that everything is made fresh and to order as they do not own a freezer. When you taste the food, you believe it! I would highly recommend Sfixio for any occasion and you will be more than impressed! Awesome food. Authentic Italian. Great service and ambience! Our group had a fantastic time - with raves across the board for food and great hospitality. Thanks for everything!